Basically useless. There are so many better offerings. "There are so many better offerings." Such as which other cameras with a fixed lens and a full framed sensor? Remember the meaning of "many". No. 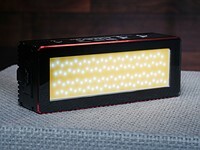 Its a $5000 with a $2 manufacturing cost back LCD screen so pathetically mediocre & low-quality that you cant see anything if there is even a hint of outdoor light. $2?.. nahhhhhh make that a buck! German engineering and savings at its best! And lets not talk about the mediocre AF, or mention that after just 6 or 7 shots (JPG only) the camera will literally lock while its buffering them out, and that compared to something of similar resolution & portability (Leica wished) like a 3 year old+ Sony RX1RII, the low-light performance is basically a lavish uncontrollable noise fest. 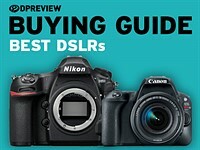 At least DPReview's video review, told it as it is as well. I had the chance to play with this camera for 5 minutes at a demo last week & it way longer than I needed to know whats it made if. Whoever still blindly shells out money for s..t like this cameras, good for you! And please don't start with the rhetoric of lovely color renditions & similar BS..
"And lets not talk about the mediocre AF". Screaming you've just not tried it. "mention that after just 6 or 7 shots (JPG only) the camera will literally lock while its buffering them"
Also screaming you've just not tried it. "and that compared to something of similar resolution & portability (Leica wished) like a 3 year old+ Sony RX1RII, the low-light performance is basically a lavish uncontrollable noise fest." Also screaming you've tried not the Q, the Q2 nor the Sony RX1RII. You'd have a hard time getting travel insurance to cover that camera against theft, and no chance of a payout without obtaining a report from incredulous local cops, who'd probably suspect an inflated claim! There's plenty of camera gear that retails for more, examples a Hasselblad X1D and a Fuji GFX 50S, those are just bodies. All you're doing is showing your gear ignorance. Also why on earth do you imply that local cops couldn't simply look up the price of the Q on the internet? I bought a Q on the day it came out in June 2015. Cost me £2,900, the list price at the time. 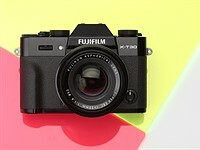 The main justification was that the price was not much more than a 28 Lux, so the camera body was more or less for free. I have enjoyed it tremendously, alongside a Leica M. I've used the Q for about one third of my shots. It has proven extremely strong, practical and produces great shots. It survived a serious quad bike accident in which I landed on it and I came off a lot worse than the camera, which once cleaned off was fully working. I've ordered the Q2. The main reason is the weather sealing. I like the improved EVF, it is heavier because of the SL battery. This review breaks down the Q uses, which misses the point that the real joy is how the Q works as an extremely high quality everyday camera with fantastic ergonomics. That's why the original Q was so popular. DP review lists the flash sync at 1/2000. The Leica site says 1/500. 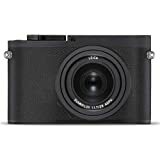 A Panasonic-built Leica-designed Q-like full frame rangefinder fixed lens camera for under $2500 would be such a home run that Leica could go from being the exorbitantly expensive tool of the affluent of means to a next life of being a peoples-camera, firming up its place in a shrinking market. It could be priced that way, they simply don't want a larger market. There is no rocket science in this camera that you can't get from Sony, Zeiss, and Sigma. Full frame is no longer a differentiator meriting this cost. Anyone with $4K budget will gladly assemble a MILC system with 10 times the versatility of this point and shoot. Wake up and smell the coffee - Leica. The Leica Q and the Q2's lens has better colour than the lens in the only competition for this the $3300 (US) Sony RX1RII. Now, the Sony has sharper corners and less distortion. This isn't a full framed body; there are two (3 if you count the Q-P) full framed cameras with fixed focal length lenses. Nor is this camera (the Q) what anyone would call a point and shoot. No, you are not Homer's hero. Funny how the original Q sold faster than they could make them for almost 4 years and the Q2 has about a 4 month waiting time. If Zeiss made a 28/f1.7, which they don't, judging by their prices it would cost at least $2,000. The Sony A7Riii is 42mp full frame and about $2,000. So the Q2 is good value compared to other brands. There are a few items where Leica can be bettered on quality and price (e.g. Voightlander 15/4.5Mk3 and Zeiss 28/2.8 ZM), but not many. Is it right? Q2 as an ILC - yes. 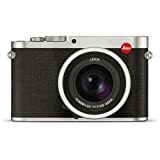 Leica has an excellent APSC mirrorless AF ILC in the rangefinder body form--the CL. Nothing stopping Leica from making an AF ILC in the rangefinder form with a full framed sensor, but the SL lenses for it are already very big. Leica is NOT going to make another AF ILC mount system with smaller lenses besides the one it has out already. The Olympus PenF is an excellent body, and Olympus has excellent lenses for it, if you don't want a Leica CL and those lenses. The only problematic point with Leica Q is the lens; compared to 28mm Summilux for the M system, Leica Q is not as nearly as good. Lens has atrocious bokeh at f/1.7. 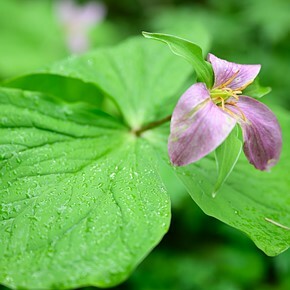 It has characteristics of the mid-range Japanese made lenses, which create "empty" bokeh, best seen in scenes with contrasts – edge lines are blurred as a pronounced halo, and the area in between is 'smudged". If the scene is busy, it looks atrocious with this kind of cheapo bokeh, halos double up, intersect, and all becomes a visual mess. (Same problem is visible in new Ricoh GRIII). Compare that to Olympus Pro prime lenses, which feature feathered bokeh, and see how Olympus lenses are optically superior. Perhaps the reason is the lens' designer; apparently, Konica designed the lens for the original Leica Q. To be just "good enough" for advancing amateurs, but a far cry from optical goodness. Otherwise, the whole Leica Q package would cost $1K-$2K more. I think that's a great point. If you want Summilux or cron quality and M or SL performance, the Q2 just doesn't have it. 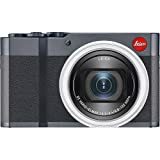 It is a small package with great features and probably a pleasure to use, but the lens falls short because you have to pay $5k for just a lux or cron lens...and leica is not in the business of giving away free cameras. It would be nice if they produced a small FF camera with a fixed lux lens for $7-8k...but then again, hard to say who would buy it? I must be missing atrocious bokeh in DPR image 10045 and 10056. Many Olympus lenses are optically excellent. However Olympus is not shipping a full framed camera with a fixed lens; only Sony and Leica are. And I certainly like the PenF. But, as you know, many very good m4/3 lenses ain't small. 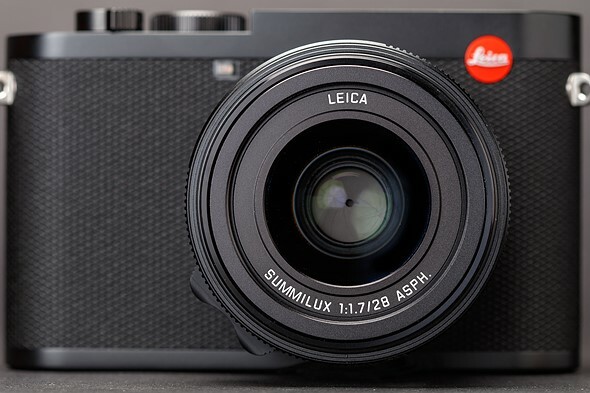 Now I do think it an interesting speculation to wonder what kind of Q Leica could design with an extraordinary lens at a significantly higher price. At $4995, with a 47MP, 135-format sensor, weather sealed metal body, premium finish, and many goodies, the lens in such a camera .. cannot be really good. Leica won't make a product that in any way replaces its major M or the SL lenses. I mean, the Q lens is 'adequate' and is sufficiently sharp – and that is what amateurs are concerned about. But the bokeh creaminess, extra inter-tonal detail (pop), and extra colour saturation … well, no. The Q's lens is far more than adequate; it's colour (your tonal pop) is up there with the good SL lenses. I'd really like to encourage people to take pictures with cheap equipment, but it is a fact: good work needs good tools - a leica is far too cheap to be really good. So are the SOOC JPGs less good than the original Q or the same (seems they are not considered good). I totally get pros would never shoot JPG (as if) but good JPG is good enough for many needs, so is Q2 sufficient in this aspect or is the camera is actually poorer than Q1? For nearly 5 grand come in it should deliver cracking JPG as a given in my view. I would of been interested to consider a Q2 if it was longer focal length glass to have a more natural portrait shooter than a 28 mm distortion. Still love my Q for almost all daily life. Interesting thing about JPEGs, they're almost exclusively used amongst editorial photographers (journos). Below is an interesting article on the subject, note the Reuters link is vague on the issue though. Best color science/JPEG's/video straight out the camera is Canon, most widely used editorial camera is probably the 5D series for good reason. 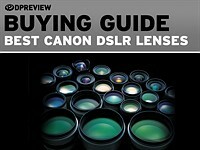 I'd also postulate the new Canon RF glass is the best from any manufacturer going forward. Don't confuse "colour science" with the jpeg engine in digital cameras. Also, no, as a general rule Fuji and Olympus have the best out of camera jpegs. Canon not so much. I'm sure the 1DX Mark II has excellent jpegs though. The Canon RF lenses aren't great for colour. The new 85mm f/1.4 L from Canon is showing some promise. What on earth, talk about Jumping the fracking Shark (look it up). Do you just pluck this crap out of thin air, statements like that, as ludicrous as they are, negate ANYTHING else you may say - ridiculous! Of course, I know you are (not) going to back that up with any links or published science! Canon RF lenses aren't great for colour; it's a problem for Canon lenses in general. I gave you an example of an exception from Canon L's line. It's clear that you've not used lenses with extraordinary colour rendering, or you don't have very good colour vision. The former is much more likely, since almost anyone can see what I'm referencing. I'll not be sharing the science or links; the former isn't something you'd follow. We don't know from this one report how good the SOOC jpegs are. It's only one review and you really need more to see what the consensus is. That being said, if I were any camera company these days, I would try to get my SOOC jpegs as good as possible. It's a huge convenience to most photographers, and people are conditioned that way with their smartphones. However I also realize that Leica is its own unique market niche, and will have no problems selling these cameras regardless. In actual fact, I'm intrigued, please do forward your sources, I'd appreciate it! The Q3 will not sell to any editorial pros that need solid JPG-performance, more so to wannabe-amateurs who got the time to sit at home and endlessly tinker with the WB & colors on their 47MP RAW files that they actually never print, rather then write nonsense posts on forums about the "amazing color science" of Leica lenses vs the crappy Canon lenses that all professionals actually use...just face the reality. Most photos aren't printed. You got no idea why Kodak went bankrupt I see. Canon really doesn't know colour. Nor really does Nikon. They can figure it out. "professionals" use gear that is easy to get serviced or replaced quickly--that's Canon. Canon lenses are good enough. And of course, Canon's AF system is much better than any Leica's for shooting a football game. However no all professionals don't use Canon. I don't think it a coincidence that Sigma's lens colour improved significantly after Sigma acquired Foveon. But that's just a guess that Foveon inspired Sigma to look into colour better. Not my failure that you didn't notice the issue. I gave you a big hint. "Canon really doesn't know colour?" That's obviously a false statement. I've seen several photos from Canon cameras and all of them where in colour. I hear The National Enquirer are looking for a tech reviewer. I had the Q 1 - I loved and hated her. Unfortunately sold because of other gear. I miss her. At the Q2 I'm out and will never buy them. How so? 47MP are too much for me and I need redundancy with 2 cards. It would have been no problem for Leica to use 2 card slots. The whole point of 47mp sensor is the ability to crop. 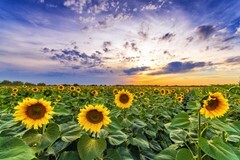 Sure the focal length stays at 28mm, but by cropping, the FoV can equate to 35mm, 50mm and 75mm. As stated below the effective aperture changes compared to FF so the DoF does not equate to a 75mm f/1.8 because as you say the focal length is 28mm. BTW there more important things to get upset about. Agree with your comment about 2 card slots. That is a deal breaker for me too. No big deal with the lack of two card slots. I have more than a dozen digital cameras and I have never encountered a card failure. I use only name brand cards like SanDisk and Transcend. The only time I had troubles with an SD Card was when it used exFAT. Found out the hard way it only has one FAT. To reduce wear on SD Cards, get to know the peculiarities of SD storage and act accordingly. Do not format in camera, do not use standard Windows formatter. I have never had any problem with my memory cards whether formatted inside the camera or on a computer. There is no problem with the standard Windows formatter. Never been on location a realized first SD card was full? None in bag? The fact the camera keeps shooting? Apparently not well prepared. No one's fault but yours. My cameras have two SD slots so it was a hypothetical. Even if you have a camera that has two card slots, you could fill up the SD cards without realizing it. So my point is you should always bring extra cards and often monitor the camera's storage situation. The answer for me is yes. It is right for me. By the way, I love reading DPR comments on any Leica review. Some of you guys are a piece of work. Doing need a Q2? No. Do I need Fuji GFX? No. Nice galleries Greg! I think the biggest plus of the Q2 will be the EVF (haven't seen one in the flesh yet though), that's the biggest complaint with my RX1Rll. If its EVF is as good as the new Canon R (and it should be) you'll be golden. 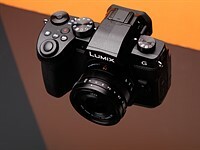 As to the rest of the Q2, I'm sure it'll be great, hopefully Panasonic had input with the electronics, their G9 is superbly quick and functional. I'd argue that needs are indeed vital for great photography. The problem is that people confuse needs and wants all the damn time. Ask your camera dealer if Leica is right for you. Is a Rolls Royce right for you? Leica has made gear and lenses in Portugal for decades, and Leica Cameras is not some subsidiary of another big camera company. What's wrong with Portugal? And why is a British car using German components somehow more authentic than a German camera being assembled in Portugal? Weird comment. Apparently it IS something wrong with Portugal as Leica write Made in Germany on the Q2...when it's actually made in Portugal. Personally I wouldn't mind, if they were honest. How do you know it's actually made in Portugal? Hm, I knew they had the Wetzlar Germany name on the cameras, didn't know they also expressly label them as "Made in Germany", looks like they do have that on the baseplate. I figured the EU had strong protections for things like this where Leica wouldn't be able to say something is "made in" unless a certain portion of the assembly and parts actually do come from Germany... if it's flagrantly untrue, then that is shame on Leica for misleading advertising. I for one don't consider Leica a RR of cameras. 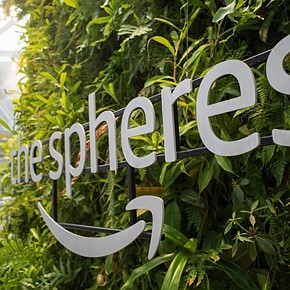 You mean not a subsidiary of another company long past its prime? Or do you mean not big, heavy and leather trimmed? HaR if you can't figure out what I "mean", you're either very arrogant or really stupid. Which is it? So you mean that Leica Cameras is an independent camera-lens company, which only does few "leathered" special editions? There's plenty of competition for Rolls Royce cars; there's not much competition for Leica's optically best lenses. Now this Q 2 only has an excellent Leica lens, not a Leica best. So you are correct, Leica Cameras is not akin to Rolls Royce cars. Is your wallet right for this Leica? 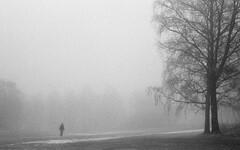 Are Leica article comments for you? Why certainly. I'm sure it's an excellent camera, better than the 1st, which has an impressive secondary market value. If the lens on this camera resolves the missing decimal point in the price, I think this camera is right for me. The photo of woman from "Leica Q2 for Family and Moments photography" seems to be back-focused (look for eyes). Can you tell what AF mode was used ? Is it problem with AF in those conditions ? No, it is the photographer. I wondered why so many photographs are annoyingly blurred, but I recalled, "It's the DPReview at work …"
I cant see a sensor this size is useful for street photography. That's why Leica invented the Q3 crop-mode. The M10 is real useful on the street, it has a full framed sensor. 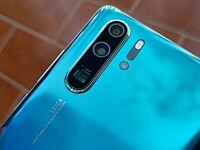 No the Galaxy M10 has a 1/3.1" sensor. And you can phone home with it as well. Very useful on the street when you get a flat. Don't confuse a line from a brand (Galaxy) with brand (Samsung). Only one camera brand has an M10, though another very real camera brand has tried to use the M name. Closer, but not a street camera. Also that camera brand unlike like precedes the "M" thing with a line name, sort of like Panasonic and Lumix. "I cant see a sensor this size is useful for street photography." You should use a camera for that, not just a sensor. It's only expesnive if you can't afford it. I mean, I can't afford a BMW M5, but I don't go around complaining about its price. And car forums aren't full of others complaining about its price tag, either. 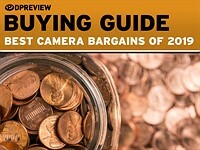 What is it about cameras that brings out the price-complainers? Because you can't pick up groceries in a Leica. The "complaints" are usually about what you actually get for the money. What you get is a better stills camera than the only close competition, and the Sony RX1RII sure aint a $1200 camera-lens. Bad example. A Sony can never be a "better stills camera". Doesn't matter what you compare it to. The Sony RX1RII is a better stills camera than dozens of stills cameras from iPhones to the RX100II, and many others. Also learn the difference between "the" and "a". To me it's not A better stills camera compared to anything, that's why I wrote A and not THE. It's all subjective truth here. Try the Leica or Sony forum instead. But is it BMW M5 of cameras or not? That is the question. If we can afford it, is it worth the cost? We don't complain about the M5 because of the way it rides. Does Q2 do that? No, it's not all subjective. More importantly, you made a blanket statement about all Sony cameras in general not being able to be better stills cameras. Whereas of course dozens of Sony cameras are better stills cameras than cameras from other brands or better than other Sony models. It's only expensive if you can't find options that perform better for a lot less. To use another analogy, lots of audiophiles looked down their nose at the Technics 1200 direct drive turntable. It was an excellent turntable and because it was mass produced, it was sold for a fraction of the boutique, hand crafted low volume turntables. The Technics outperformed the expensive tables, but audiophiles who shelled out $3-5K (or more) couldn't accept the $400 table did a better job. In the '50s and '60s, Leica's reputation was well deserved. My 1963 Leica M3 is a joy to hold and use. They were timeless, they never went obsolete. Nowadays, there's not as big a delineation in performance and quality. 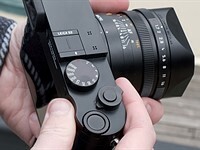 Objective lens tests show Leica lenses as excellent, but Nikon, Fuji, Canon and Sony are turning out lenses that test as good for a fraction of the price. Well, Leica used to rebrand Panasonic cameras and double or tripple the price. The pigment in the red dot must be very expensive. "Leica used to rebrand Panasonic cameras and double or tripple the price." Completely wrong price ratio there. Leica bashers are so predictably ignorant on the subject of Leica. Did you bother to check the current Leica rebadges of Panasonics? There are at least 3. Except Leica's better and best lenses have better colour than anything from Canikon or Fuji. Sony has showed some promise with the GM lenses (probably learnt a few things from Olympus) but those just compete with Leica's very good, not best lenses. And this Q's lens is more than very good for colour. No, the Q's lens is not one of Leica's best lenses. At least Leica aren't just rebranding Sony sensors like Nikon, Panasonic, Olympus, Fuji, Pentax, Phase One, and Hasselblad are. They roll their own, at least with the FF models. This is likely a TowerJazz sensor, that's the Israeli company that owns a controlling interest in the old Panasonic sensor division. Leica has also used a French company named CMOSIS for full framed sensors. How is this costly. A similar set up in sony, say with a7rIII and a 35mm or 28mm fast lens is almost 80% of this cost. I like what Leica has done for the first time. Except the CCD monochrom and 75mm SUmmilux i never liked any Leica. Like you said, "or". With ILCs there are a LOT of this OR thats. In another word: choices. LensES plural... You get what you get with the Q2. No changes. 28mm not long enough for your shot? Too bad. 14mm would be perfect in that small cafe? Too bad. And of course, the horrible ergonomics that seem to suggest Leica designed the Q2 to fall out of your hand. I could go on all night but I'm tired and i gotta eat before i hit the sack. "How is this costly. A similar set up in sony, say with a7rIII and a 35mm or 28mm fast lens is almost 80% of this cost." But I still prefer the remaining 20% to be in my pocket. And I get an ILC. Quite a difference I say. One serious question (although it may be good for a depressing laugh), I've always wanted to hear a clear answer. How much do an average American or European earn per month in their respective currency? Is it close to 5k? If it is, is this camera equivalent to a month's salary? If so, is that REALLY expensive at all? I mean, I live in a primitive 3rd World Economy (Brazil), if I earn 5k a month (in Brazilian currency, which is 4x weaker than USD) and have to pay abusive taxes due to corrupt governments since day 1 (import taxes vary from 60% to 90% of the original price), on top of all that, there're greedy re-sellers here adding their own profit. Bottom line, a 5k camera for you is affordable within 1 month salary. For me, the final price is close to 35 or 40k (in Brazillian weak $$). You may take 1 or 2 months to afford it. I may take 1 or 2 lifetimes. So here's my question again, is that REALLY expensive to you guys, or First World people are just too spoiled to appreciate their blessings? I've paid 6k for my Leica M8 in 2018 + 4k for my "cheap" Voigtlander lens. 10k total for an oooooold Leica kit. My 22mp Phase One was 26k seven years ago. If I could afford DMF and Leicas for the prices you guys have access, I'd have easily several of them and I don't classify as rich at all. My income is nothing special. Sorry for the rant, I just wanted to put things in perspective always seeing so many comments about Leica's price. Oh boy, you have no idea how cheap 5k it is. Average salary in the UK, iirc, is £25k - £28k a year, depending on where you live. When I worked (outside London, skilled technical, managed a crew of 2) I was on just over £30k, which gave me a monthly take-home of around £2k - again, iirc. At those rates, I’d have to save for a year or so (depending on what sacrifices I was willing to make) or get a bank loan. If only the Q2 had a 35 or 40mm lens, I’d be totally up for that, but 28mm doesn’t interest me enough to make the jump. Peter, I understand, but even that way my point somewhat stands. I simplified things a lot in my previous post (did not count costs of living, etc, we can't just buy cameras and forget the rent :D ). But in a way, it stands because you can have these amazing cameras by saving. Pursuing something you want for a year is actually little sacrifice, it's pretty doable. Myself, I dream of upgrading my 22mp digital back for a P30+, a 31mp DB from at least 10 years ago. That back costs 2.5k USD on ebay, which I'd get in a heart beat if that was the final price. After currency conversion and import taxes it will get here for 16 k BR$. 16k would require me years of saving... hardly justifiable, it will remain a dream for the foreseeable future. Go enjoy the blessings of your strong economy and living in a Country you can be proud of. If you want something, you can have it just by doing small sacrifices. 1 year of saving is nothing but a small sacrifice. For many people, "expensive" is not just a question of being able to afford the product in question, it's also a question of how high the price is relative to other similarly capable products. In other words, even if I can afford something, either right now or after having saved money for a few months, I might still consider it to be expensive compared to other products in the market. I guess one could also argue that, if it wasn't expensive, then you wouldn't have to save money in order to afford it. Agree Revenant, you're spot on. But I'd like to encourage everyone to not look these specs super objectively. Rent it, feel it before any hard judgement. One might find it's super worthy it. I did a very special fashion shoot this Sunday. One that I really, really needed to get home with tons of keepers. Cameras I had available to use: D3x, D700, Phase One and Leica M8. I decided to shoot 80% of the shoot with my M8, yup, leaving even my Phase One in the bag. For most people that would be a crazy idea! I'm looking at the files right now, and oh boy, there's just something amazingly special in those files. Something no specs or charts will ever tell. They could've been with higher end cameras, but the M8 brought the extra sauce. What I mean is that comparing the Q2 spec by spec with other cameras probably will not tell the whole story. It may be super worthy the 5k price tag, to the point it may feel well spent every cent, only way to know is trying it hands on. I am a dentist in Egypt. My official government salary is 200$ a month, 2400$ a year, so it takes two full year salary to get a Leica Q2. I do private work and started a video production company and my monthly salary jumped to about 500$ a month, that's with a lot of hard work, having two jobs, producing music videos, working as a dentist from 9 to 5. It's a lot of money. Really a lot of money. Hi Ebrahim, for sure, I totally understand you. Here in Brazil things are really difficult to afford as well. Life ain't easy outside of the First World. Due to currency conversion + import taxes + dealers' profit, rule of thumb here is you take the original price in USD and multiplies it by 6. For any imported electronics, it's like I'm buying 6 of each, at once. Folks in Europe, US, imagine buying 6 Q2s at once. That's how life is around here. My rant refers to how First World citizens have it so massively easier, so insanely cheaper, and still complain, complain, complain. Even if 5k USD is a lot of money (yes, by all means it is), it's definitely within reach for anyone in First World countries. Saving for what, 6 months, is not hard at all. Now for you and me, Ebrahim, that's a whole different ball game. It's unfathomable to me that a full-time dentist is making $2,400 per YEAR! Move to America and you'd be making at least $100,000 per year. Over $200,000 per year once you're established. I'm not bashing Egypt, and I'm not praising America. Just stating facts. No doubt some of us are more privileged than others. It's easy to forget that, when you only see things from your own perspective. I live in Sweden, and even if I lost my job (a rather ordinary office job), the unemployment benefits I'd receive would be at least four times as high as the salary of an Egyptian full-time dentist with another job on the side! Maybe I have no right to complain about the cost of a Leica, but still I do just that. It's a strange world we're living in. The median American income after withholding for taxes, retirement and SS, is certainly much less than 5K per month. The price of this camera makes it out of reach for most, but it is a very nice and capable camera. Not only will it produce great images, but there is one factor the critics overlook: the experience. Most who will buy a dedicated camera we can assume do it for the joy, not because they have to. And part of the joy of photography is using a really nice piece of photographic equipment. The Leica fits that need very well. There is something to be said for the experience of using a device, and there is nothing wrong with paying for what one might consider to be a superior experience. We do that all of the time with all sorts of other products, from cars to dinners at a restaurant. So why not a camera? So sure this Leica, like all of them, will definitely only appeal to a niche of users with the budget to afford. But that doesn't mean it's not a really nice piece of photographic gear. One more thought about Leica: no matter what you think of their products, they are rare in the camera/photo gear world in that they make a profit, and a handsome one at that, and a growing one at that. In a time when camera makers are struggling, Leica is thriving. They have a great business model, and other companies to some extent or another are all going to have to copy it. All camera companies are going to have to aim for certain niches to succeed in, and also generally go for the higher end of the market. The mass market is gone and not coming back. Leica is well positioned to survive and thrive, and has a very venerable brand. Thanks for posting. When I was looking at the Monocrom a few years ago, there was some question regarding the financial health of Leica. That concern gave me pause. Your comment regarding Leica "thriving" sent me to Google. It seems they've had a couple of strong years recently. I'm glad this is true. For me , as someone that uses solely a LumixLeica 15mm f/1.7 lens, the Q2 is will make me feel immediately at home. But, as an old school medium format photographer, I like to position the camera low so that I am looking down at the tilted screen. Sadly, the Q has no tilted screen. It can crop to 35mm, 50mm, 75mm, … but .. the image characteristics and OoF is not that of the 35mm, 50mm or a 75mm lens. The images are still of the 28mm optical design characteristics. So boys and girls, it can crop, but the crop from a 28mm Lux is NOT your 50mm Cron equivalent. 35 & 50 look pretty good. One of my favourite set-ups of all time was the Nikon D600 + 35mm f/1.8 at 24mp, which is nearly identical to this really. And also one other favourite of mine was the d300D + 35mm f/1.8, at 12mp, again pretty identical to this and shot very shallow DOF portraits with me. Agree with Zvonimir, its not just dof/aperture and rendition. Perspective characteristics of a 50mm equivalent crop from a 28mm lens are not the same as the view from an actual 50mm lens. No it's the same. Perspective is a chrachteristic of distance from the subject, not focal length. Can't be the same. Because we're not writing here about some theoretical point. Different optical formulas, different geometry achieved with optical magnification, different glass, elements, coatings, blades, etc. all influence final image. what are you talking about, it's the same, this isn't a subjective matter it's a scientific fact. From which planet did you arrive, Jupiter? This is planet Earth, here geometry has constraints. Two lenses of different FoV and different optical designs can't deliver same images – not in a million years! Their IQ will be totally different. This 28mm Lux in Leica Q2, for example, has atrocious bokeh, absolutely horrible doubling of edges, and that same atrociousness would be visible in all crops. But with a better optical design, say by using the 50mm Cron, bokeh would be QUITE DIFFERENT, overall image too, because different glass, different number of elements, and different optical design would deliver totally different inter-tonal gamut, different contrast, different OoF, different level of sharpness, all distortions would be better corrected, etc. So when this camera becomes obsolete, can you remove the lens and modify it to fit an adapter for another ILC? Has anyone tried this with old Leica throw away cameras? All Leica cameras are throwaway cameras. 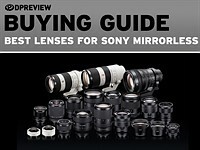 I personally think their digital cameras are priced very high especially since digital cameras become obsolete in about 5 years, but the lenses are awesome and it is nice to keep them for a lifetime. So it would be a great deal for $5k if the Q2 can be taken apart and the 28mm lens modified and reused in 5 years for some other ILC. "So when this camera becomes obsolete,"
Within 8 years those lovely 47Mp photos will still look lovely. So...everyone is either defending the camera or dissing it...but no one can really tell me if the lens can be removed and repurposed or if this has ever been done with a leica camera+ fixed lens?? Well, the lens is not intended to be removed. It is permanently affixed. I'd imagine that it'd be quite the project to adapt it to something else. And AF would very likely not work. I still believe this is a lovely camera. If you have a spare $5k, seriously consider investing in it... you’ll be supporting a true legacy, plus - you will have HowAboutRaw as a perpetual ally in reminding you of your brilliant choice. I’m going to wait for the 35 ‘cron edition. Huh? I rarely congratulate people on Leica gear purchases. Nor the few times I have done so have I then ever repeated myself. I must say the Q2 is a handsome camera. For me, the camera is well design and have a classy feel. What I like is the size, not too big or small. It has a leaf shutter. A very sharp 28mm f/1,7 lens and a weatherproof body. However, what I do not like is the lack of a built-in fill flash for that unplanned group photo during travel. Yes, it has a hot shoe for an external flash but this will be inconvenient when taking the decisive moment is brief. Often a fill flash will safe the day when there are unavoidable shadows. The 28mm FOV may not be good for certain portrait eventhough they try to address this issue by encouraging using the crop-zoom. 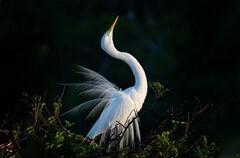 The large file size may be good for big prints but can be a bit too large to upload them to the Tablet or hp. As indicated in the summary, the Jpec may not be the best, the colour may not be the best. If one has to process the RAW files to get the best output, then it cannot be used to take photos on the go to upload easily. Thus, for street and travel photography, I prefer to use my GX9 with the LumixLeica 15mm f/1.7 lens and the small Lumix 40-150mm f/4.0-5.6 lens and the Canon M100 with the EF-M11-22mm f/4.0-5.6 lens for the wide angles and the EF-M32mm f/1.4 for portraits and low light. Both have a built-in flash for fill-in. I have an external flash for my GX9 when necessary. My above set up combo get the job done with the least weight to carry. It is much cheaper too. D'oh! I can't believe you said that! 100% serious, I was just thinking exactly that this morning! They are not taking part in normal human relationships, that's for sure. THe Z7 with the 14-30mm lens, and tilting screen is what Leica should have made with a 100MP sensor and in-built MASSIVE SSD memory, because the problem with this new thing is it is utterly obsolete-regardless of price or branding, with that fixed vignetting lens, and only 47MP yielding as noted a 6.6 MP file at the 75mm setting, like my Nokia 1020 on zoom! I question too what other formats it can work with as both 4:3 and 16:9 stills are essential for me now, and I dare say many of us used to 16:9 TVs and monitors, and our phones. And yet the Q V1 sold really well for Leica. So assuming there's nothing horribly wrong with the Q2, it will also sell well for Leica. It will likely sell out for (as in be back ordered and sold to pre-orders only) for the next 12 months. Your Nokia is useless at ISO 1600. It's easy to use this Leica at ISO 1600. Both Rawtherappee and Darktable "see" the unaltered file. There is no current 100MP full framed sensor. SD cards aren't close to obsolete. Your "concerns" speak to a general lack of digital camera knowledge on your part--not just a lack of familiarity with the Q cameras from Leica. "use-cases"? Why not just "common photography uses"? Five articles and counting. Can DPR reach ten? The last could flashback to 2019 remember Leica Q2. Not a Leica hater? We can comment so this wasn't a paid for piece? Given the price surprised that EVF is only 3.68 megapixels when the Zeiss ZX-1 has FHD 6mp EVF? Did you check the list price for the Q V1? Is the Zeiss out? Has Zeiss announced a price? That Zeiss isn't exactly a direct competitor with this Q V2; the RX1RII is. I have the Q and brought it to Queenstown, New Zealand in 2017. I requested a local passer-by to help take photo of me and family, and the local commented that it was a great camera and what brand the camera was. Point is, this Leica Q is easy to operate and shoot and you can pretty get anyone on the street to help you take photos. Hah, it would be risky to ask a passer-by to shoot a photo for you with such an expensive camera. Maybe not so risky in NZ. They might just run away with it or drop it. I would just let them use my Oly TG4. Or same for any P&S camera, just saying. The TG4 is less likely to be damage from a drop. I have actually seen non photographers dropping a camera when ask to help take a photo. I have the TG4 ever ready in my bag for such moments. By the way, it is a great street photography camera on its own, not just for snockelling. Yes most of the time I'll look for a couple with children and that probably is the best bet. Any yes, the country is important too. Thanks for the tip. Seriously? I get the same comments with every camera i hand to someone to take a picture of my group. My TG4 lives in the car, summer and winter. Use it instead of a GoPro when offroading. Probably won't happen, but with more brands entering the FF mirrorless fold, I am hoping for more competition in the FF fixed lens market. The most obvious candidate seems to be Panasonic making their own rebranded Q2. I'd also love a modern QL17 with a 40mm 1.7 and a Fuji-like hybrid VF from Canon. Yes, a modern Canon QL17 would be good. I still remember that camera from the early 70s. I had one and love it. Come with a real rangefinder focusing too. I doubt Panasonic would be able to re-brand the Q2. This is completely made in Germany. However, they can make something similar. The LX100 Mk2 is a good try but unfortunately the sensor is Micro4/3 not full frame. 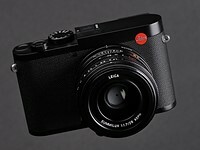 It might - not certain at all - be right for Leica selling this thing but that's about it. What would be an alternative if I want a quality wide angle prime camera with shallow DoF that's not much heavier/larger than the Q2? Big bonus points for weather sealing. Given the amount of "overpriced" comments I think many people know alternatives, but I got no answer asking them. I'm very happy with my G9+GX9 and MFT lenses. If anything my GX9+PanaLeica 15/1.7, which I use for like 50% of my photos, could use shallower DoF and weather sealing in a few scenarios. 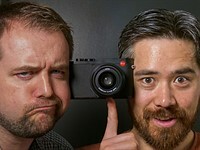 So I might be interested in a lower cost Q2 like camera (or camera+lens, if thats available in that size). Fuji X-T2 with 23mm f/2? Is 35mm wide angle enough for you? EDIT: Also, no weather sealing, but the most obvious alternative would be a Leica Q1. I think they will settle in at around $2500 on the used market quite soon. So half the price of a new Leica Q2? Enticing value, imo. X-T2 and 23/2 are actually weather sealed, so that actually gets in the right direction. The DoF isn't much different from MFT f1.7 though and I find x-trans problematic. Film cameras. The price differential will buy a lot of film, and your sensor will never get outdated. @kaipr I'm not in the overpriced camp, especially with how they priced the Q2. It's not far off from a solid DSLR body + quality lens, and as you see it's really hard to find an alternative with similar specs. EDIT: I also think the RX1 used is a heck of a value, I see them going for around $1000 in great condition now. So I'd also consider that AND the aforementioned X-T2/23mm f/2 for the weather sealing, and I'm still at about 1/2 the cost of a Q2. So that would be another thought. Is it right for me...yes it is. Is it right for my wallet...no it's not. Expensive, yes, but I've noticed Leica cameras are getting more reasonable in the price-to-spec ratio. It used to be that you paid for the red dot and the lens, but you get a sensor that lagged the competition. At least on paper this sensor appears to be on par with the Canikons and Sonys. I've no interest in this overpriced piece of boring photographic jewelry. Oh gee, no one had used "jewelry" yet below this article. Keep up the cliched Leica bashing. Saw someone who said the same thing until he actually held one hand in his hands. He looked like someone who just realized he mispronounced the word ‘mature’ his entire life. "Keep up the cliched Leica bashing." Sounds good HaR will do. I'll spell it with the right kind of letter "e": Clichéd. That means "hackneyed", which often means (not absolutely always) means ignorant. "A cliché or cliche (/ˈkliːʃeɪ/ or /klɪˈʃeɪ/) is an expression, idea, or element of an artistic work which has become overused to the point of losing its original meaning or effect, even to the point of being trite or irritating, especially when at some earlier time it was considered meaningful or novel." Surely 'no interest' would extend to not commenting on it. The moment you take even 10 seconds to engage, you express an interest. There are a ton of things I have 'no interest' in, they are easy to spot because I haven't commented on them. Next time read what I posted. I equated "hackneyed" with "ignorant" and also "cliché". Yes, ignorance, since a hackneyed critique usually means a critique that once had some validity but in its overapplication it has long ago vitiated its accuracy to any but those ignorant of the subject. Further proving that you didn't read my post: Look between the parenthesise. Ironically, reading of the "cliché" definition which you posted would include ignorant since continued use when an idea has lost its original meaning is form of ignorance. So reading is key. Do so. Yep, hackneyed oft means ignorant. Well, as a paperweight it's kinda big and expensive. So not really for me. No no no. Small Leica lenses are paperweights. Leica cameras and big Leica lenses are doorstops. Gotcha,.I've been looking at them all wrong. Still I've a price of gold encrusted marble that's heavier and less expensive than a Leica for keeping my door open, but thanks anyway! I confirm that I love my Sony 28mm f2.0 + a7r III (42 MPx), that I "convert" regularly in DX mode to an equivalent 42mm f3 (19 Mpx). Add to it the bottom of a leather case for the a7/a9 III series + the top of the leather case for the XT-20 and it fits everywhere with a low profile. It's a pretty safe bet that the Q's lens has better colour. But it's not like you can't get a Batis lens for your Sony A7RIII. Well, you spent like $3600 (msrp) for a camera with a mediocre midrange lens, I don't think getting much better quality in all aspects for 1400 more is that unreasonable. But if you think that you are a potential buyer I assume you also don't like what you have? Being the owner of an A7Rii, I have the same opinion as @geoffreyhdt, no need to spend 5 grand for a subjective "better color" rendition. Some of us know how to make the best out of those beefy raw files. The point is which lens do you use on your A7RII? Nope, can't fix crap colour in post--even with raw file. The only way to clear the air would be taking the exact same picture with both the Q and the A7Rii-iii with a 28mm lens and then play with the raws which will be pretty unlikely to happen. I am not questioning the colors from the Q are great, just I don't it can't be replicated with a proper lightroom technique. Now there may be a Batis or Loxia lens that's close--those are for that Sony body. And some of the Sony GM lenses are close to excellent Leica lenses for colour. Want better colour than this Q, and the same focal length, you'll need the Otus 28mm. But you get sharp corners and little distortion. @RAW well In 28mm we only have the $450 Sony 28mm f2 or the $1400 Sigma 28mm f1.4 to compare directly to the Q. The Batis is 25mm and the Loxia are 35mm. Anyway, a shootout with all these would be interesting. PD... the Otus 28mm for Nikon costs more than the Q and you still need a body for it. Not my failing that you've not tried a Q, or some other excellent Leica lens. The SigmaART 28 will almost assuredly have an unsubtle blue colour cast one can't remove without radically altering the rest of the picture. I've not tried the Batis or Loxia 25mm lenses. Right, why do you think I picked the Otus? It retails for the price of the Q2. But it's likely better (not all Oti are) and it's sharper in the corners. I do mainly wildlife so macro and long telephoto therefore this camera is not for me however if ever there was a camera that would make me switch styles, this is it. Its a 28mm camera that is capable of very sharp images . It isn’t suitable for portraits, enviromental portraiture is a very different genre and is really just another name for street shooting. 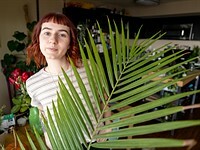 I would agree that 28mm is quite wide, but the 35mm crop is excellent for environmental portraiture. It is a very light weight review. Single images with little or no text is next to useless. How about an in-depth review instead. Take a look at Jono Slack's hands-on review. http://www.slack.co.uk/leica-q2.html. He is very pro Leica and is a preferred reviewer for Leica . Nevertheless, he doesn't gush and his comments are reasonably objective. and limit your shooting to 28, 35, and 50mm, it's really not too shabby. One might even conclude that as a carry around camera that still gives you approx 15 mpxl @ 50mm, compare that to carrying around an interchangeable lens body with 3 top quality prime lenses and the price, size and weight of the Q2 may seem less exorbitant. Zoom framing is not a unique feature of Leica camera, anyone can do it with any camera, it's called cropped image. Zoom framing is a marketing terms invented by Leica to hide the short coming of a fixed lens camera. And where do you find that I said it was unique? Of course it is cropping the entire image. But with this feature in the viewfinder, one can frame the precise image that one has in mind at the time of the shot without having to guess later for cropping in post-processing. And if one wishes to change their mind during the post processing in Raw, the in-camera cropping can be dispensed with, resulting in the full RAW 28mm 48 mpxl image. Furthermore, a fixed lens is not a shortcoming . 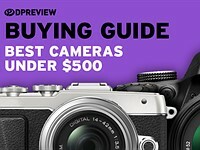 It is a choice made by the purchaser who already has a good interchangeable lens camera ( have two...a TL2 and an M240) and wants a compact street shooter or someone who simply wants a camera with a one size fits all function without having to change lenses. It is not a groundbreaker but simply a convenient framing option. My advise to you: Don't buy it. I doubt you'll appreciate it. Me buying this camera - I don't think I allow myself to be caught in the Leica marketing hype. But of course there are always people out there paying for it because seriously no matter how expensive camera cost is nothing compare to a luxury car - a set of optional wheel and tyres alone could set you back ten of thousand dollars. I remember reading somewhere a set of ceramic brake pads costs $20,000 on a German Audi Sport car and xenon head lights $14,000 - now we are talking. If you dislike Leica so much, why are you even on this forum except to snipe. You lost me on Audi. You should pick another site on which to troll. To claim that zoom framing changes the f-number makes no sense. 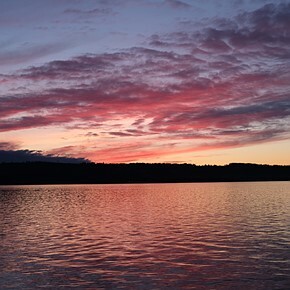 Enlarging a portion of the image does NOT make it darker. Lowers resolution, makes pixels effectively larger but does not reduce the light level. The expansion is all done in math. Short answer to title: Nope. say why it's not for you. Why it's not for you. Ironical that you'd used a colon already. I use my colon about 2 times a day. Yes, I figured you'd go there. However I never said your. I own the Q1 and am a huge fan of fixed lens cameras. In fact for now the only cameras I own are the Q1 and the Canon G1X III. Even as a Q1 owner, if you are looking in this space, I think a preowned RX1Rii is the best value. They seem to go for around $2000 in good condition. I briefly owned an RX1, I loved the IQ but there were some usability issues that seem to have been addressed with the II. The Q somewhat made sense to me personally because I like 28mm and I was looking to pare down my gear substantially in favor of just carrying around 1body, 1lens. So the financial hit didn't sting as much. I think if you already have a solid setup of body and lenses and just want to add something smaller for travel, might not make as much sense. I personally wouldn't want a $5000 camera as a "sometimes travel only" type camera that sits around most of the time. Conversely, the Leica Summarit lenses look nice too when considering a compact camera setup. The 50mm f/2.4 weighs all of 3.7 oz / 105 g. I've used a M-Rokkor 28mm on my Sony A7, and it really makes for a diminutive - but flexible - system. But you know, different strokes for different folks, and all that. Leica is never intended for the mass. And that cuts 90% out of all camera users, if not more. Among the remains 10%, the question asked maybe meaningful. Is it right for me? Yes. Is it right for my wallet? No. Fair enough and very true. I created a savings account into which I pay a little every month. In 1 1/2 years I'll have enough to get either this version Q2 or the next version. Either way. You can actually get your hands on one with the right financial mindset.